The California Sportfishing Protection Association, Restore the Delta, California Water Impact Network and AquAlliance filed the lawsuit Wednesday, June 3 in federal District Court for the Eastern District of California. The groups claim the U.S. Department of Interior, Bureau of Reclamation, the California State Water Resources Control Board and Department of Water Resources violated the federal Clean Water Act, the Bay Delta Plan and other laws. The lawsuit alleges the agencies have managed the water supply in a way that has pushed several fish species in the Delta estuary, and Chinook salmon fish runs on the upper Sacramento River, to the edge of extinction due to degradation of water quality standards and reduced water flows needed for a healthy fishery. Barbara Barrigan-Parrilla, Executive Director of Restore the Delta, said the state's limited water supplies have been exported at the expense of native fish species and the potential collapse of the Delta estuary. "It's not just about a matter of losing a small, tiny Delta smelt," said Parrilla. "We're looking at real impacts on a number of fisheries. And if all these fisheries collapse, that means we have a real severe water quality problem for people as well." Barrigan-Parrilla said water contractors are being favored over the health of the fishery and the Delta ecosystem. "We've overpumped the estuary for over 30 years, and now, in this time of the absolute worst drought, we are sacrificing the estuary, we are bringing it to the brink of collapse," said Barrigan-Parrilla. The State Water Resources Control Board said Thursday it does not comment on pending litigation. But, Board Public Information Officer Andrew DiLuccia issued a statement via email which said "the Board has taken extraordinary actions within the bounds of the law to mitigate the effects of California’s on-going drought and balancing the competing uses of California’s limited supplies." The California Department of Water Resources had no comment on the lawsuit. The groups said the lawsuit is an effort to prevent the extinction of several species, including the Delta smelt, longfin smelt and the natural fall, winter and spring run of Chinook salmon on the upper Sacramento River. "Natural production of of Sacramento winter-run and spring-run Chinook salmon have declined by 98.2 and 99.3 percent, respectively, and are not reaching levels mandated by the Central Valley Project," a news release from the coalition stated. "Relaxation of temperature standards in the Sacramento River and unnecesary depletion of [Lake] Shasta cold water storage last year caused Chinook salmon losses of 95 percent of winter-run, 98 percent of fall-run and virtually all of the spring run." The California agriculture industry has managed to weather the drought in 2014 and in 2015. A small endangered fish that plays a pivotal role in California’s water wars may well be on its way out. 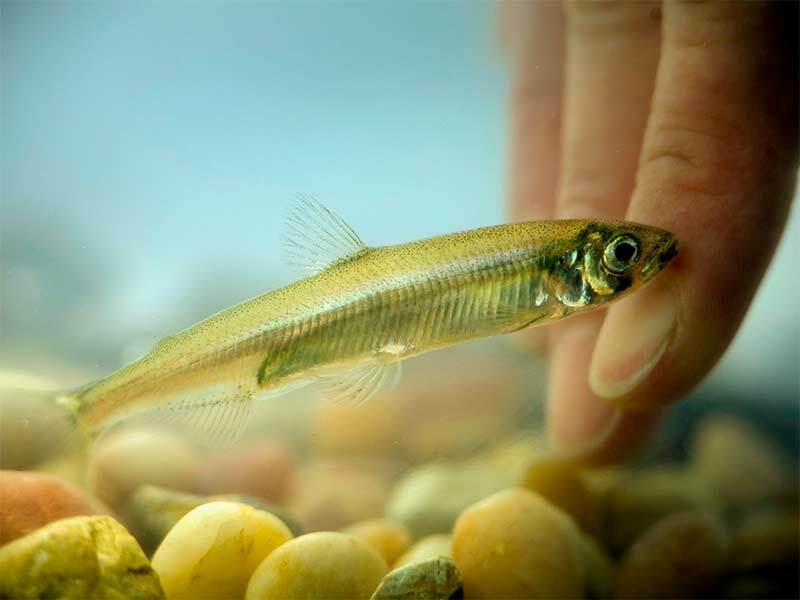 Populations of the Delta smelt have plummeted to their lowest levels ever. A winter forecast from NOAA's Climate Prediction Center Thursday shows the California drought may persist or intensify in parts of the state. (AP) -- An appeals court says federal officials should have consulted wildlife agencies about potential harm to a tiny, threatened fish before issuing contracts for water from the Sacramento-San Joaquin Delta. (AP) - A federal appeals court has largely upheld a 2008 plan that called for restrictions on water deliveries from California's Sacramento-San Joaquin Delta to protect a tiny, threatened fish. For decades, millions of fish have been diverted from pumping facilities at state and federal water projects in the Sacramento-San Joaquin Delta.